Well, I arrived in the evening to find a note pinned to the door with instructions about how to get in and directions to my room. So far, so good. My only purpose for staying there was to go to the Burmese embassy and get a visa and it's ideal for this. Twice at the embassy I found I had forgotten something and had to go back to the hostel, which I managed to do without losing my place in the queue. The only problem was that I needed access to the internet and didn't know the password (I later realised that it was written on the board) and there were no staff around. So I had to go next door, where the receptionist very kindly gave me their password and even printed out a document for me! The only time I saw any member of staff was when someone came to clean in the afternoon. Having got the code for the door, I did leave my luggage downstairs until I needed to collect it in the evening to go to the bus station. Near BTS; Central Pier and Other facilities. It was a very lucky day as the whole hostel waa closed as the owners are preparing for their wedding. They still honored my accommodation and I have the WHOLE hostel for myself! What could beat that? The owners speak fluent English and very helpful in giving tips in what places to see and how to get there! They even let me have late check out as my flight is past midnight! I am nothing but grateful! It's an interesting place. The staff is friendly, very but hands-off. the other tenants were respectful, clean, and friendly. I stayed in the private fan room, so I can't speak for the dormitories. They have a fridge and a microwave available, as well as a nice funky upstairs lounge area. Definitely a nice stay in Bangkok, especially if you need a place near the Myanmar embassy. Taxi drivers at this point have no idea where Zhongdee is so don't count on them. Ask to be dropped at the Family Mart on Pan Rd., and walk down the little alley directly on its right. Zhongdee is the place near the end with the blue sign, on the left. 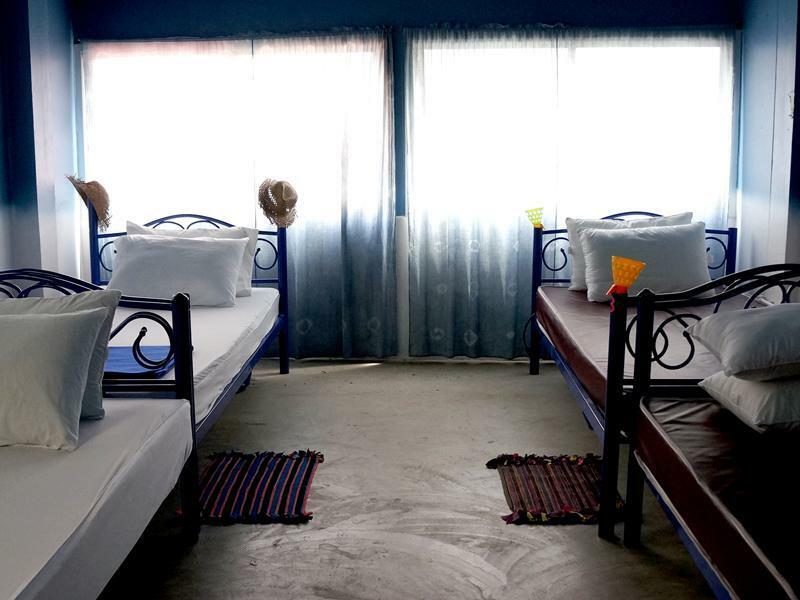 Very good stay at Zhongdee hostel, we supposed to stay 3 days and we ending stay a week. 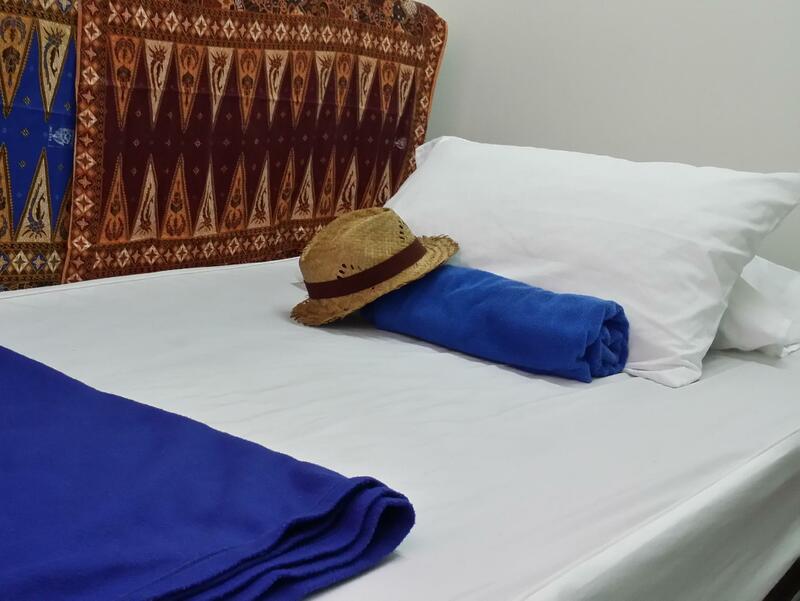 We are agree with the other comments, you feel like home in this hostel! Very nice, clean and relaxing. Staff is very friendly and give you good advice. We'll go back! The hotel is very cute and fairly well located-- just a walk or bus ride to Sathon station, where you can get the ferry boats. The decoration was really charming and everything was nice and clean. We were glad to have the washing machine (40 baht, w soap) and clothes dried fast on the rooftop terrace. Tan gave us great, cute maps that were really helpful. We stayed in the twin room. It was the only room on the floor, located next to a lounge area, but since no one else used the lounge, it felt like we had a whole floor to ourselves. The AC worked well, but the room was very small (the beds are pushed together so the person on the inside has to climb over the other one). The wifi did not work in the room, but was great in the downstairs area. I peeked in at a dorm room and it looked nice, great value for the money. We took a taxi from the airport and the driver had trouble finding the place. I suggest contacting Tan so she can give you the name written in Thai. That said, if I came back, I would just take the airport train. There is a stop very close by. We had a great stay in this hostel. Tan accommodated us even if it's too early to check-in. The place was clean and had everything we need. 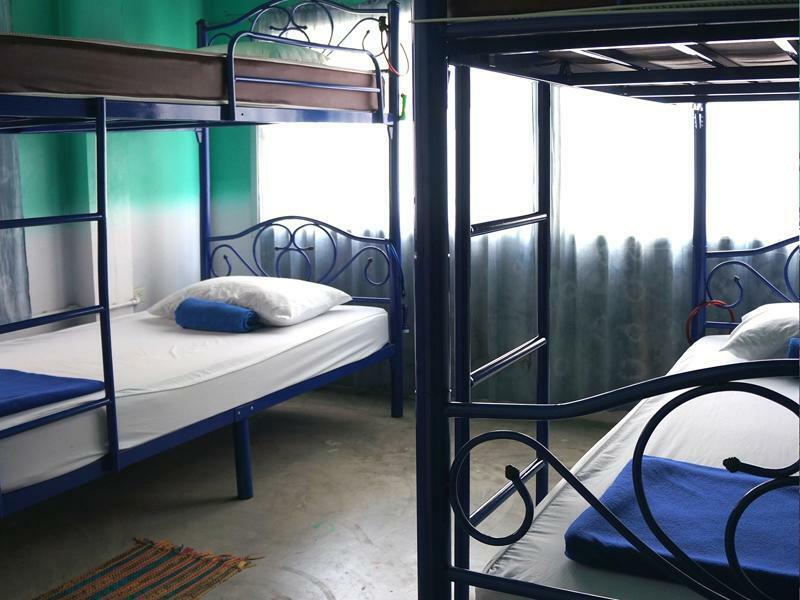 It's a no-frills hostel which is very suitable for backpackers like us. Quite far from the train station so if you're lazy to walk, I wouldn't recommended. Otherwise, you'll enjoy staying here. The hostel was very quiet (I was alone in the mixed dorm for my three day stay). Tan, one of the young owners speaks English well and was quite helpful. This is a good spot to come back to after running around chaotic Bangkok. It's close to the BTS and the river boats and, just as well, is on the edge of a small but vibrant Indian neighborhood complete with cheap vegetarian eats and a more than colorful Hindu temple. The hotel was really clean, cosy and well maintained. I loved it and would highly recommend to any travellers looking for a place in Bangkok.